It started with a conversation that resulted in a true travel journey. From African highlands to Parisian high tea, read about the tote that you can take anywhere. from newspapers to get the size just right. A few samples later and the Mara&Meru™ Safari Tote was born. Designed in a classic style, the Safari Tote will suit every lifestyle - no matter who you are or where you're going. It was equally developed to befit every facet of the modern woman's life - from business and motherhood to travel and adventure. 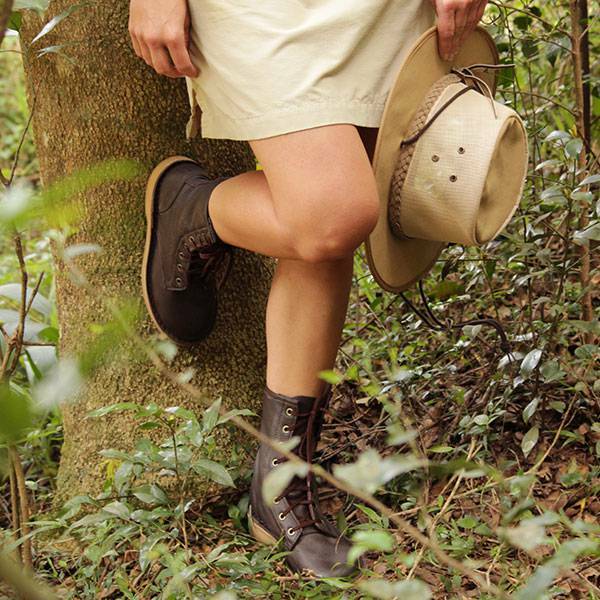 Tania and Claire from our media team put the Tote to the test on their travels. The Safari Store's photographer and media specialist, Tania, took her Tote on safari to the Kgalagadi Transfrontier Park in Botswana. Where did you travel with your Tote? The totes awesome road trip started in Durban, South Africa. The Tote travelled through tiny towns and big farms. It stopped for a traditional African lunch in a township just outside Kuruman. It crossed the border into Botswana and spent a week on safari in the Kgalagadi Transfrontier Park. What did you most love about the Tote? I love the size. It is like a Mary Poppins bag, but doesn't look too big when you carry it. It is ideal for game drives as you can fit everything you need for the day in one bag. I also love the brass feet - the fact that it can stand up and doesn't flop down and get dirty. The key clip is also a very well-used feature as I tend to constantly lose my keys! What did you carry in your Tote? On the road trip, I kept the handbag standards in there - wallet, cellphone, keys, notebook, etc. While on safari, I used it for game drives so it carried my binoculars, bird book, fleece, sunglasses, SafariSUN™, and a bottle of water. It was great to grab just one bag every time we went out for a drive. Any future trips planned with your Tote? 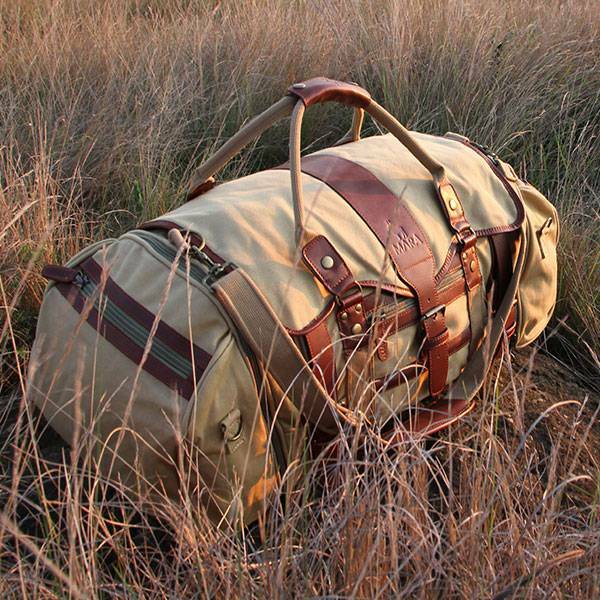 My Tote will be returning to Botswana soon - this time to the Okavango Delta. 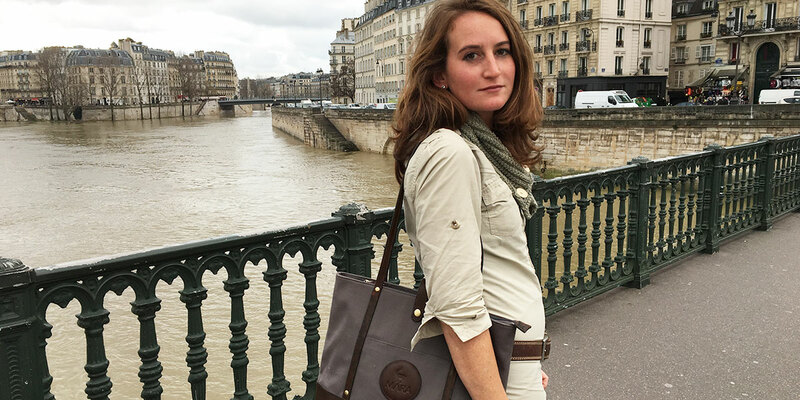 Claire - our media guru and freelance writer - took her Tote to France for a travel-and-style test. 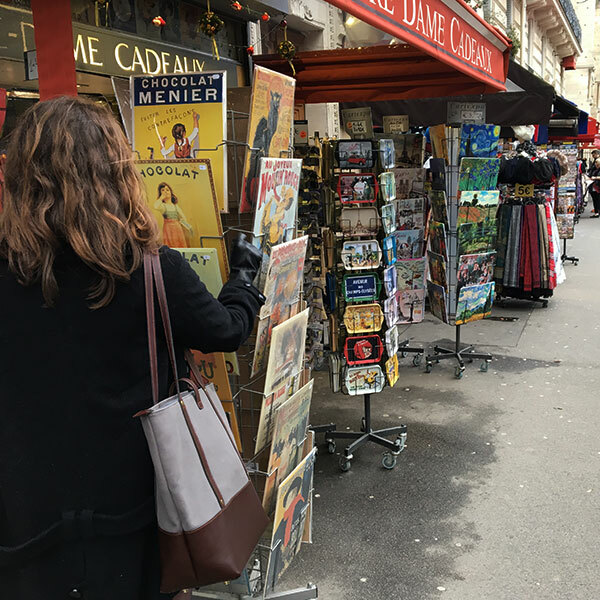 I took the Tote along on my flậneur around Paris in wintertime: a centuries-old style centre where history and modern meet. It came with for a walk along the Seine, to Notre Dame, and down the little side streets around Shakespeare & Co.
Give a woman a big bag and she will find a way to fill it. I love a big bag for its versatility. In the case of the Tote, this is achieved without any compromise on style. This is a bag I would happily use as a handbag and one I would easily transform into a business bag for my laptop and notebooks. I used the Tote as a handbag for my walk around this section of Paris. As a woman who carries her life in her handbag on an average day (if you need anything from scissors to notebooks and pencils, I normally have that with me), I left the Tote relatively empty. My wallet, phone, keys, and a pair of gloves came along on this outing (later joined by a little paper bag of perfect macaroons, but there was more than enough space for the usual contents of my bag. I am looking forward to using the Tote as my day-to-day carry-all. Going on assignment anywhere from city-scapes to vast African landscapes, it could end up in any number of places! 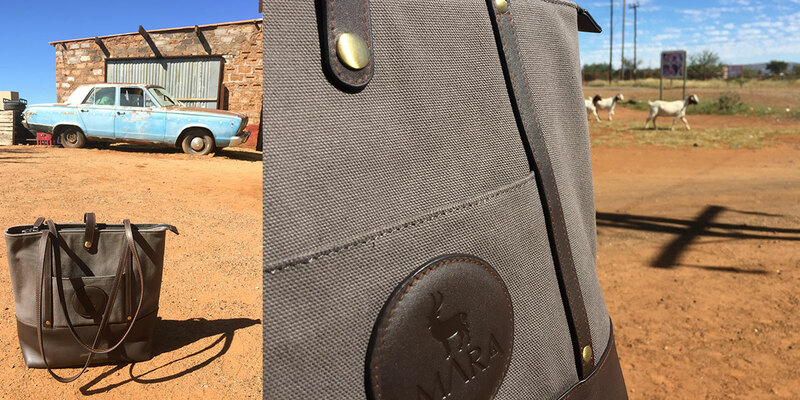 The Mara&Meru™ Safari Tote's road trip through South Africa included a lunch stop in Mothibistad - a township just outside Kuruman in the Northern Cape province of South Africa. If you prefer the streets of Paris to the dirt roads of Africa, the styling of the Mara&Meru™ Safari Tote translates into effortless city sophistication and practicality. 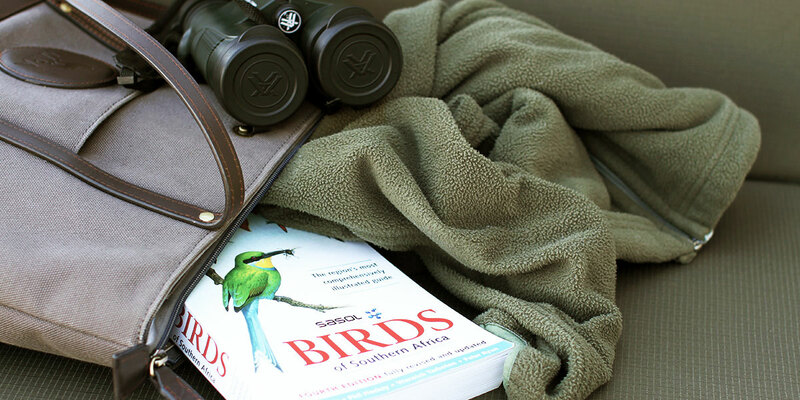 The Safari Tote is a great grab-and-go bag for game drives and is big enough to fit your game drive essentials such as binoculars, a fleece, sunglasses, sunscreen, and a bird book. As one of the style centres of the world, Paris perfectly represents the merging of classic and modern - in its architecture, its art, its appreciation of style. Designed with classic styling, the Safari Tote was developed with the modern woman in mind. 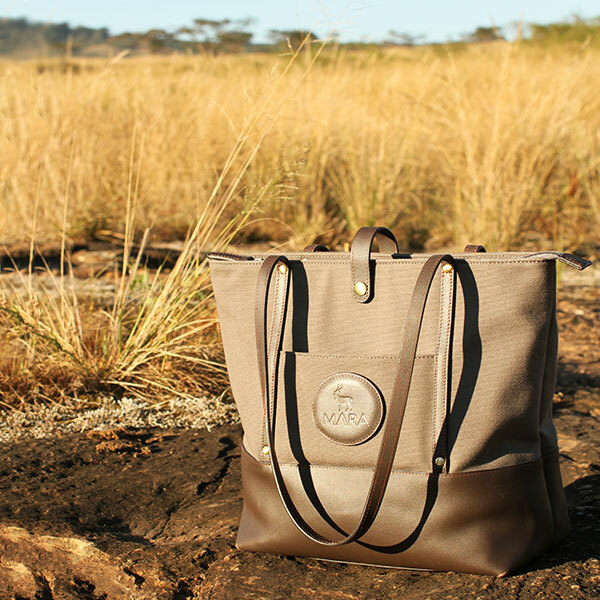 The features of the Mara&Meru™ Safari Tote are the result of careful deliberation. The women on The Safari Store team put their heads together, compared their own handbags and dream bags, and discussed the features they liked and disliked. They thought of ways that each bag could be improved and then combined their ideas to create the ultimate tote; a tote for every woman - whether it be a game drive bag, a travel bag, an overnight bag, a shopping bag, or an everyday bag. A very handy open side pocket provides easy access to those on-the-go items like grocery lists. The inside of the bag has two small open pockets (ideal for your cellphone and sunglasses) and a large open pocket which is suitable for A4 notebooks or iPads. One of the greatest features of this bag is a key clip - you will never have to scramble around for your keys again. Durable brass feet keep the bag elevated off the ground and allow the Safari Tote to stand up without flopping over. A tab across the top of the bag with press-stud closure provides extra security and works to secure a light jacket or jersey to your bag.